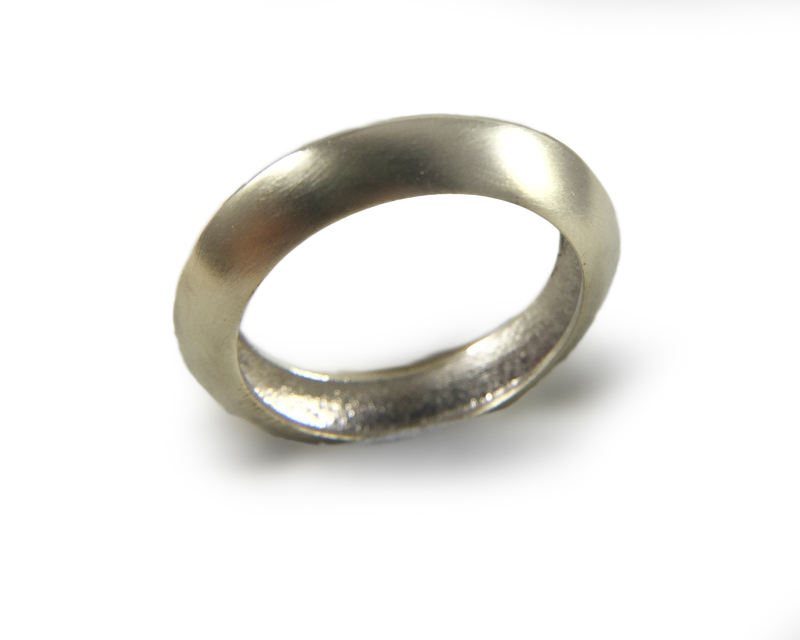 All gold, platinum, palladium, and silver products carried at Taba are recycled and ethically sourced. 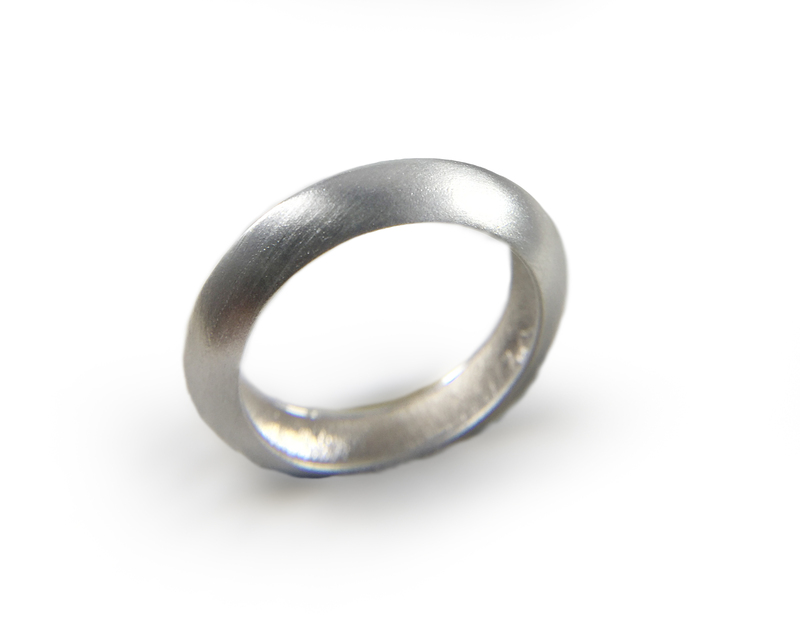 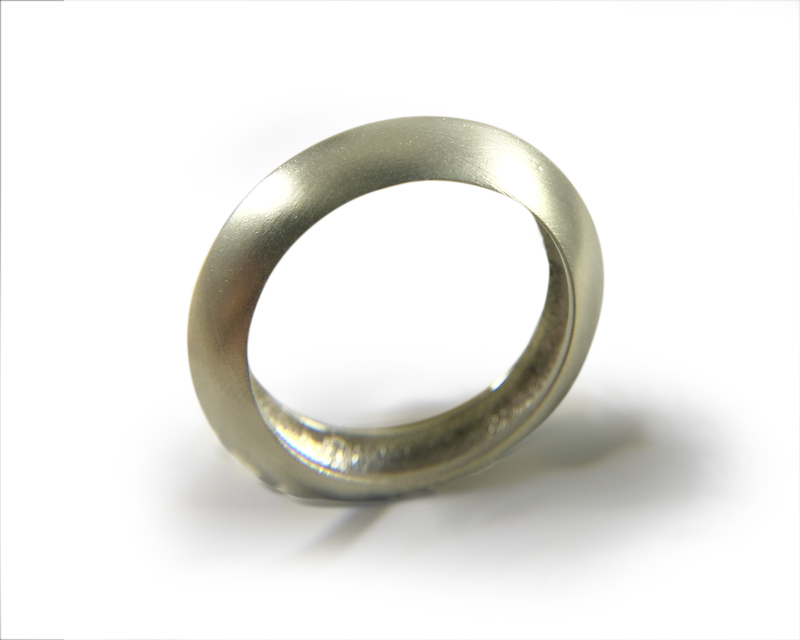 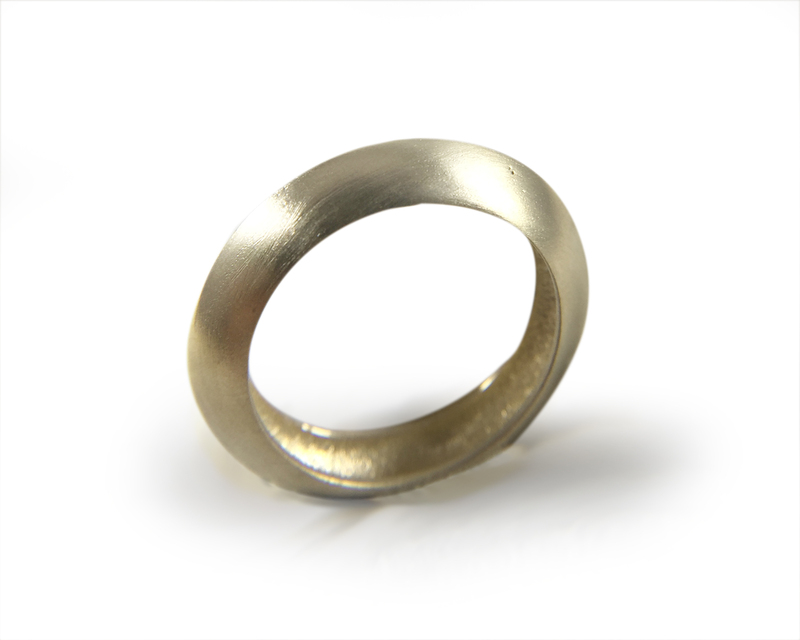 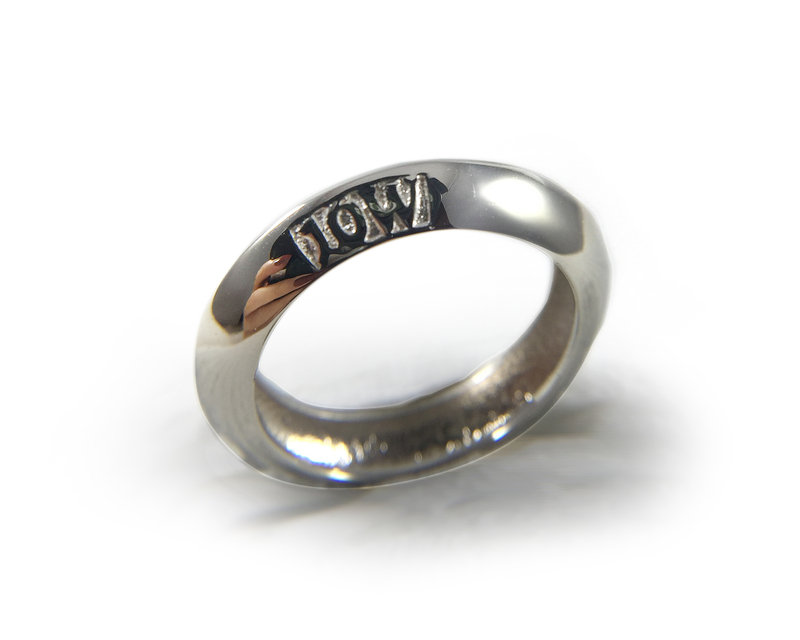 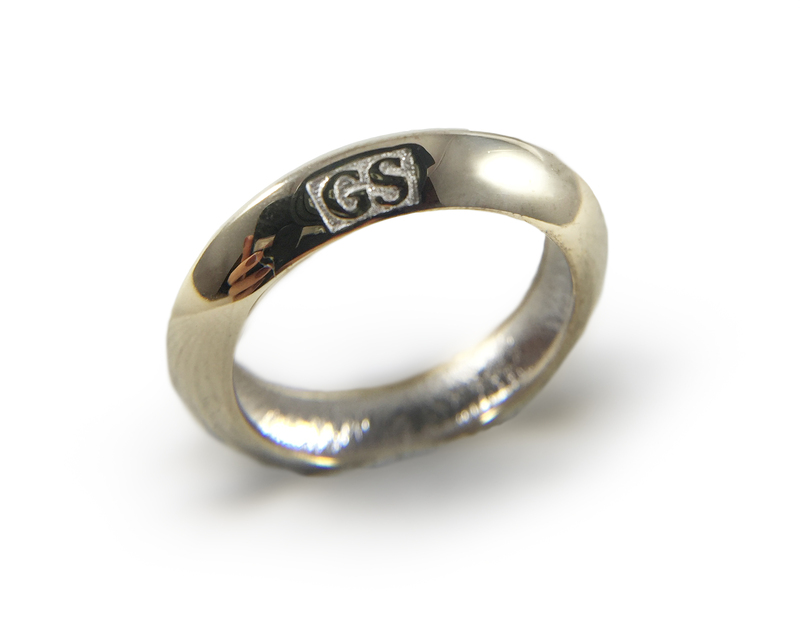 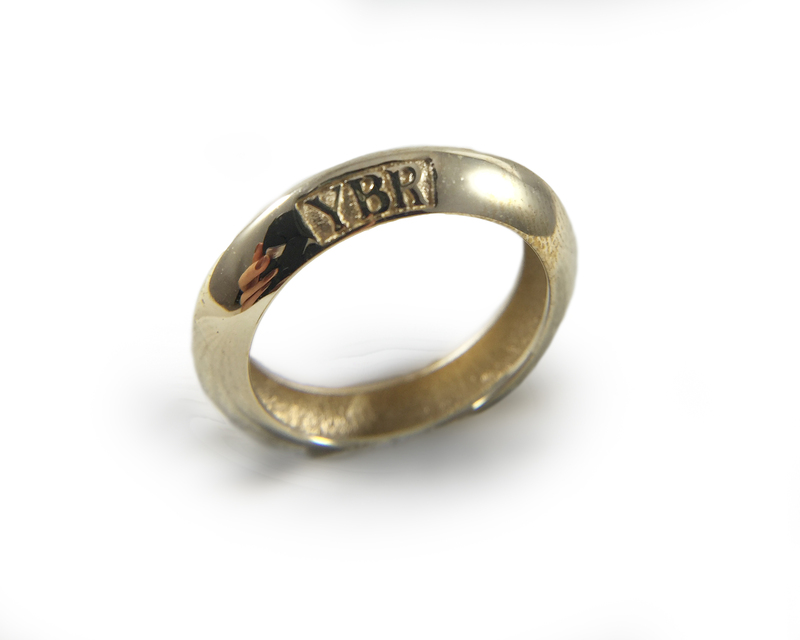 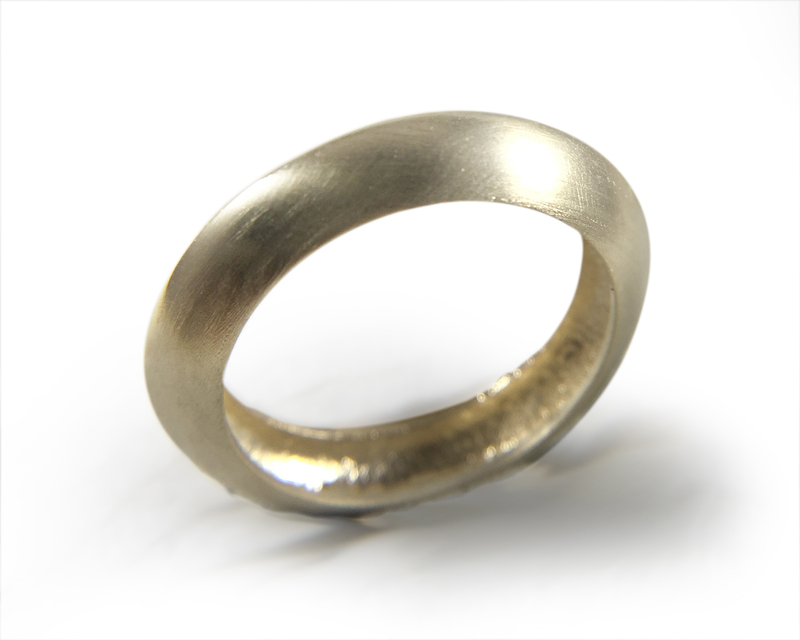 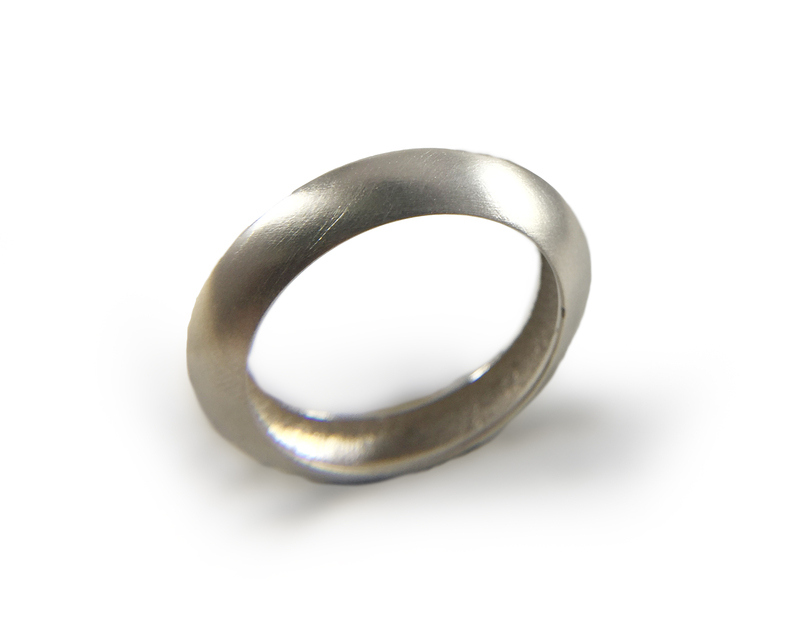 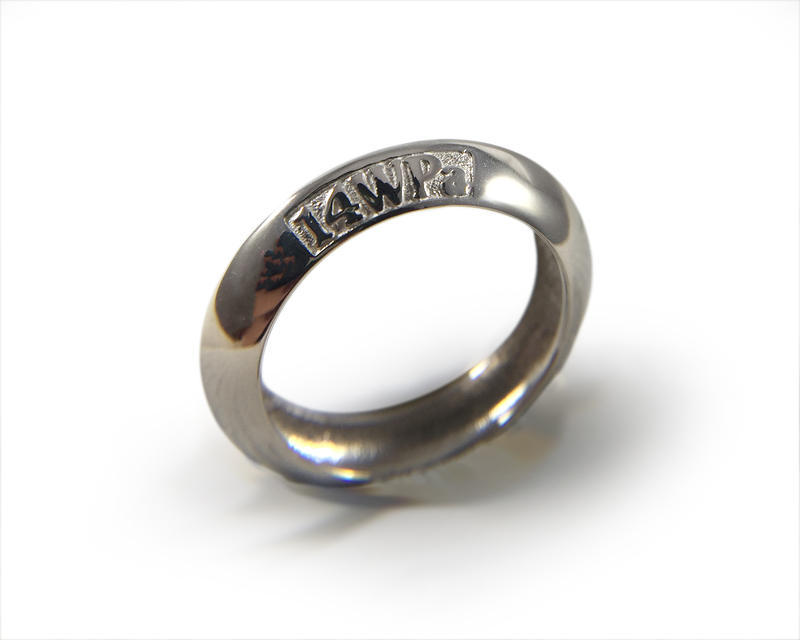 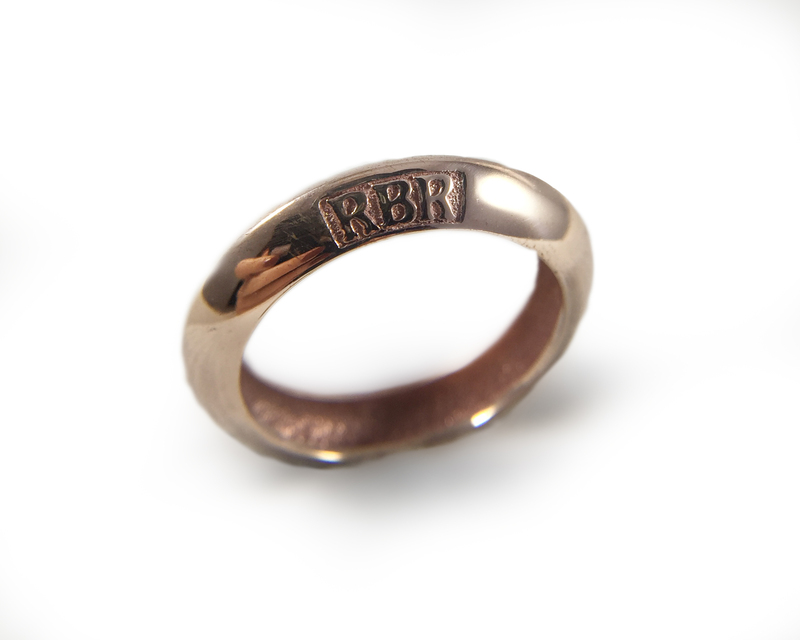 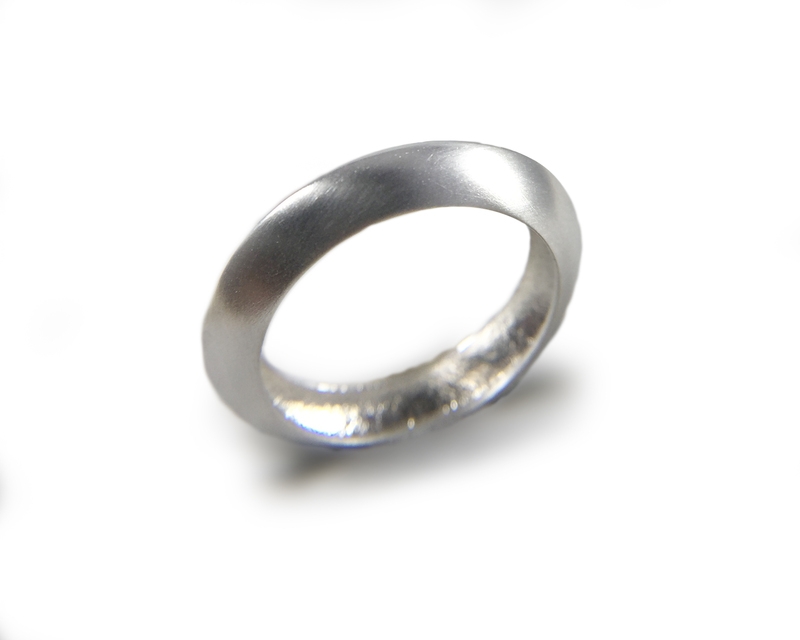 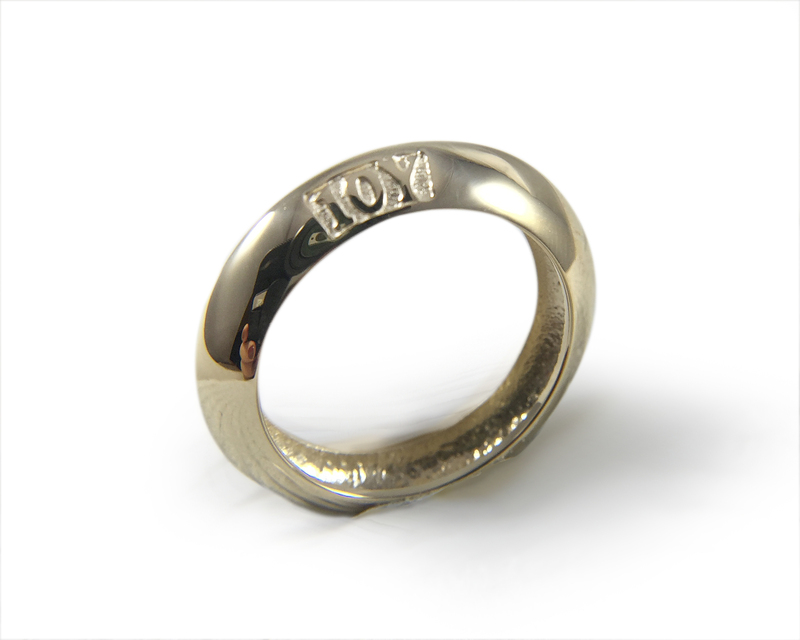 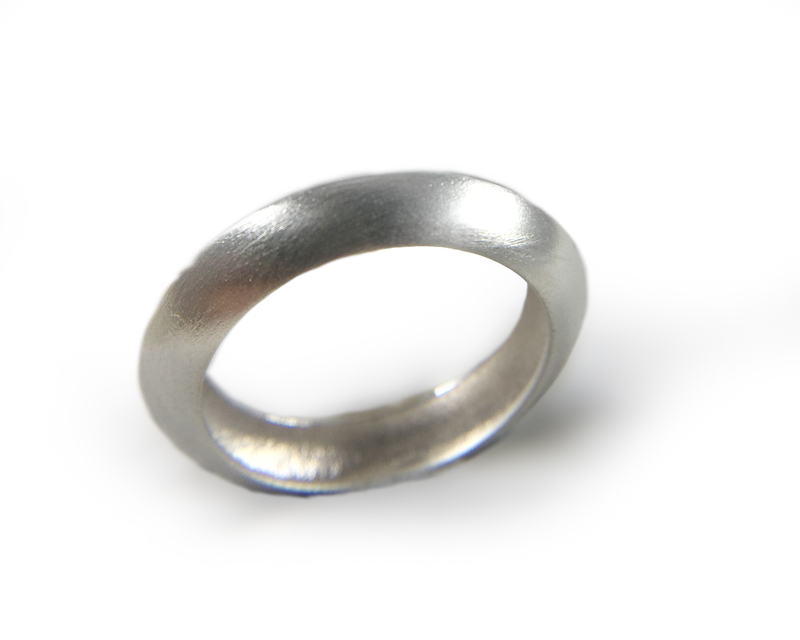 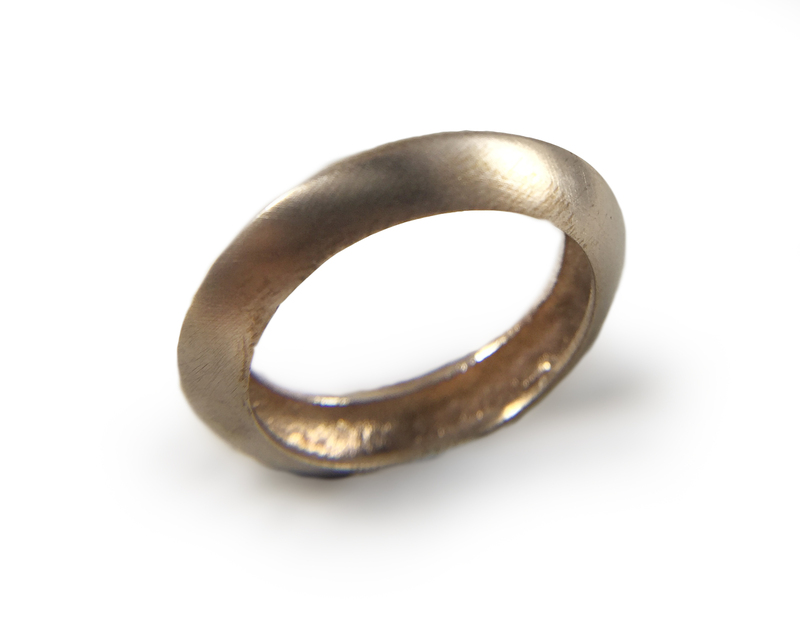 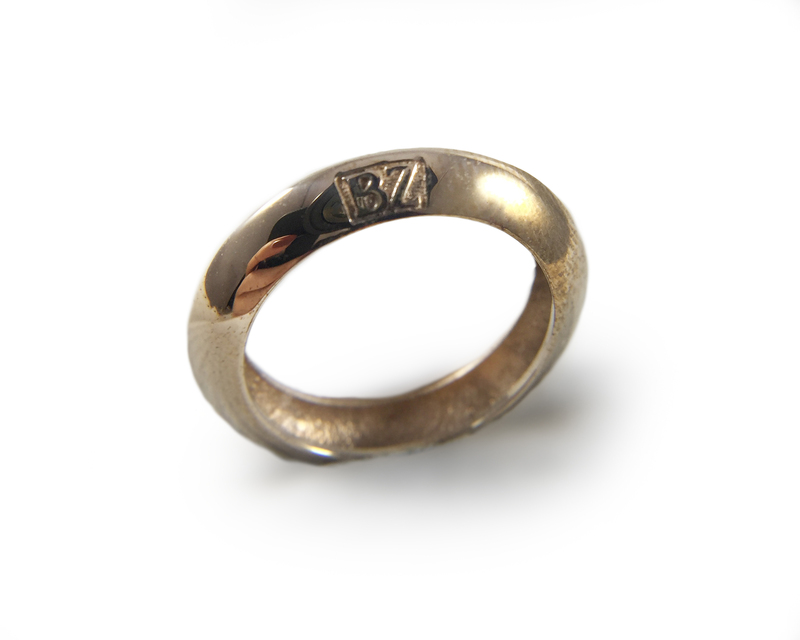 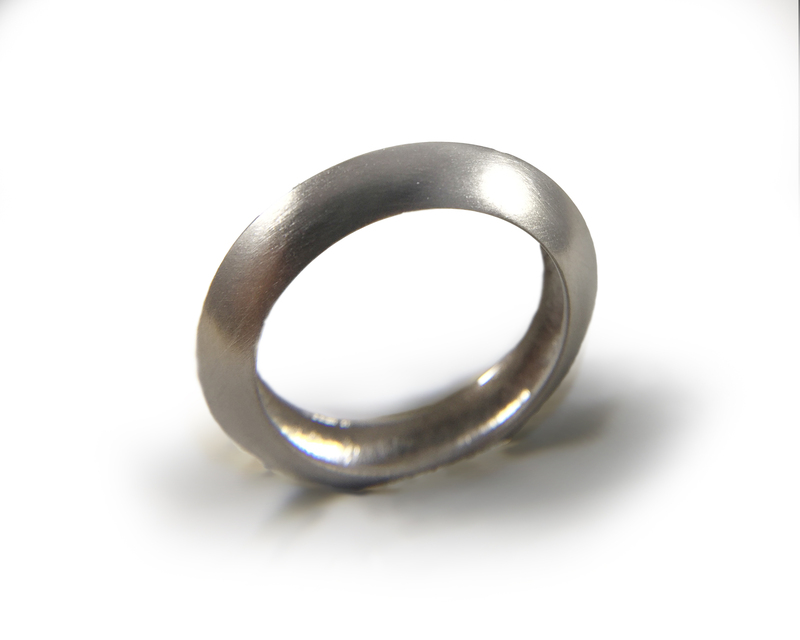 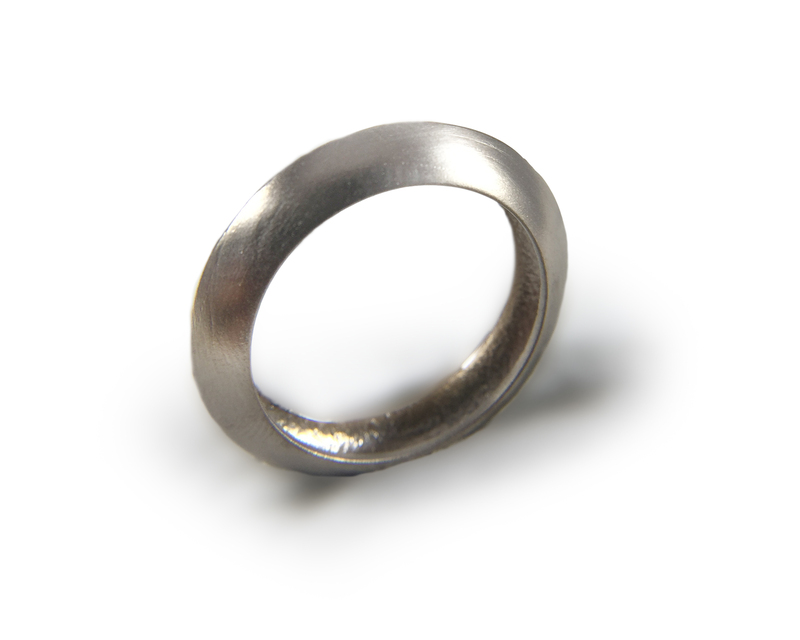 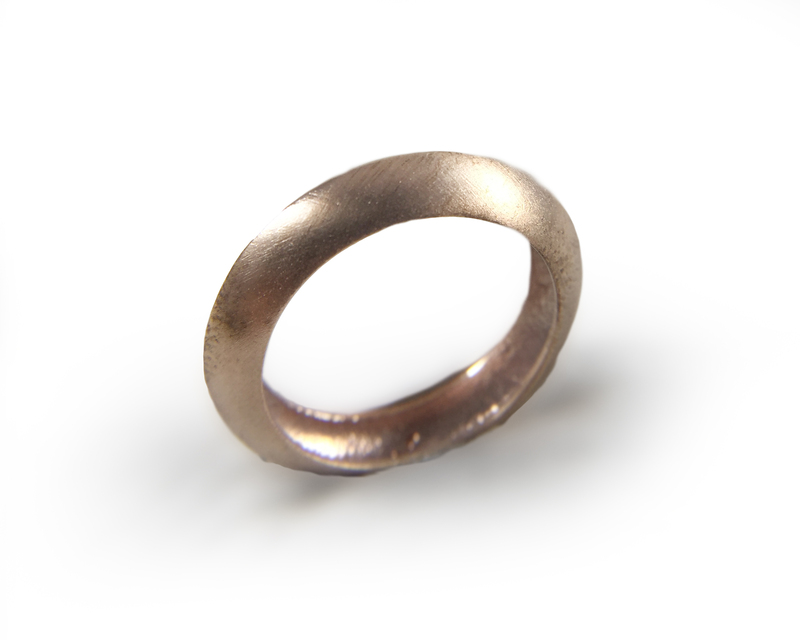 We have formulated all metals for optimal casting quality and safe use as jewelry. 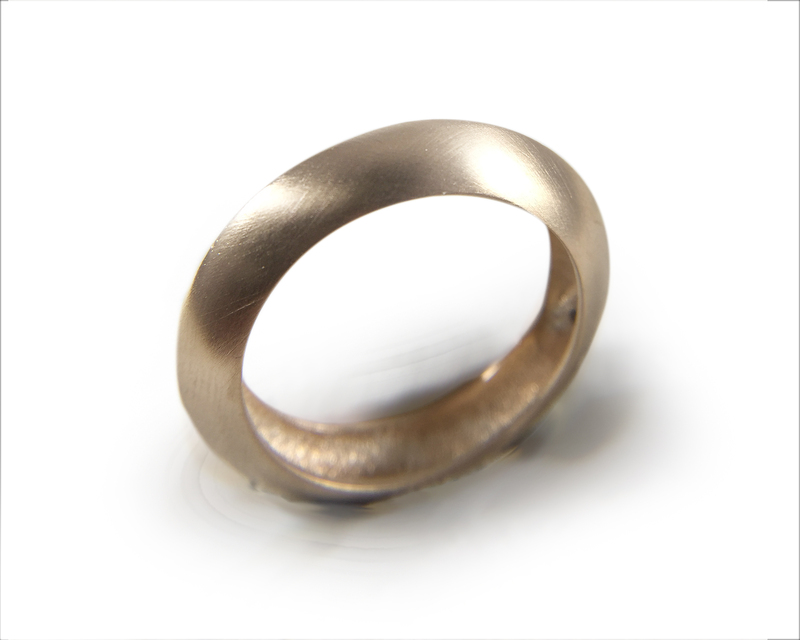 All metals pictured below are shown as high polish (F3) and satin for texture comparison. 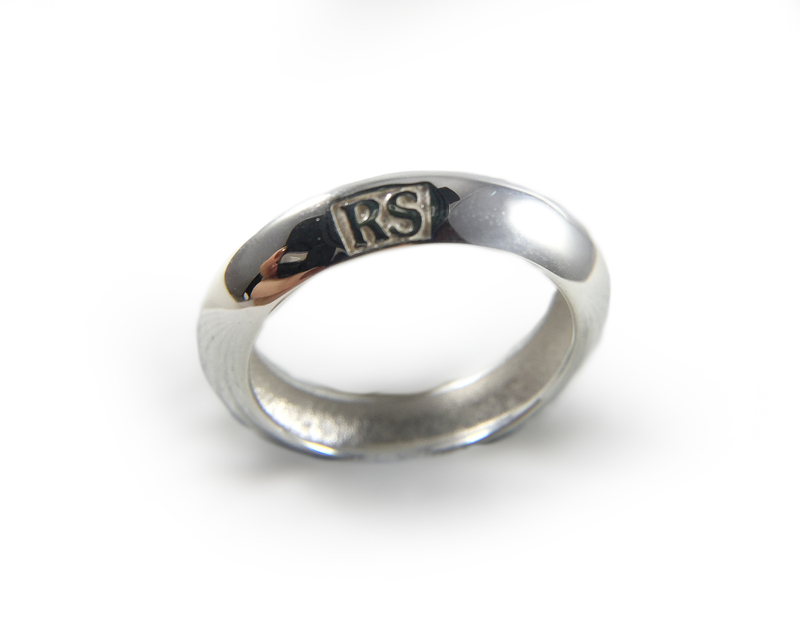 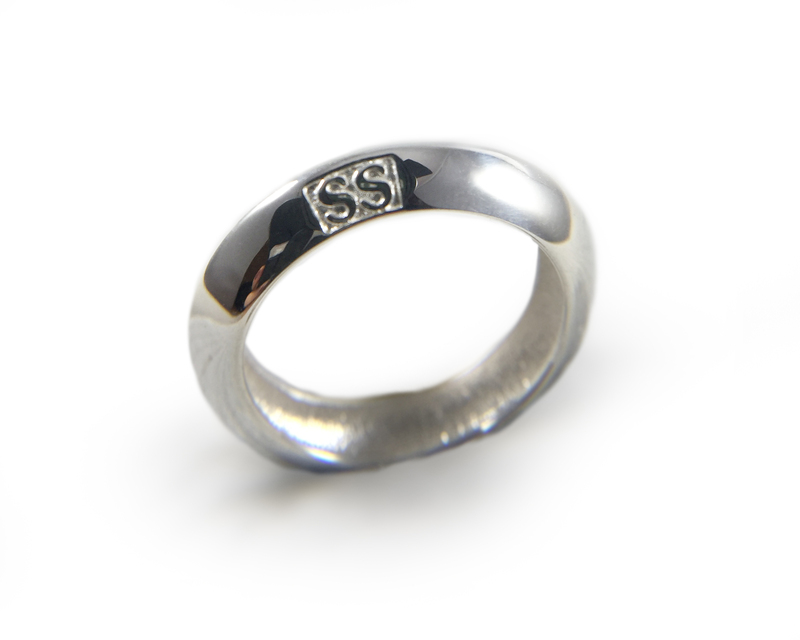 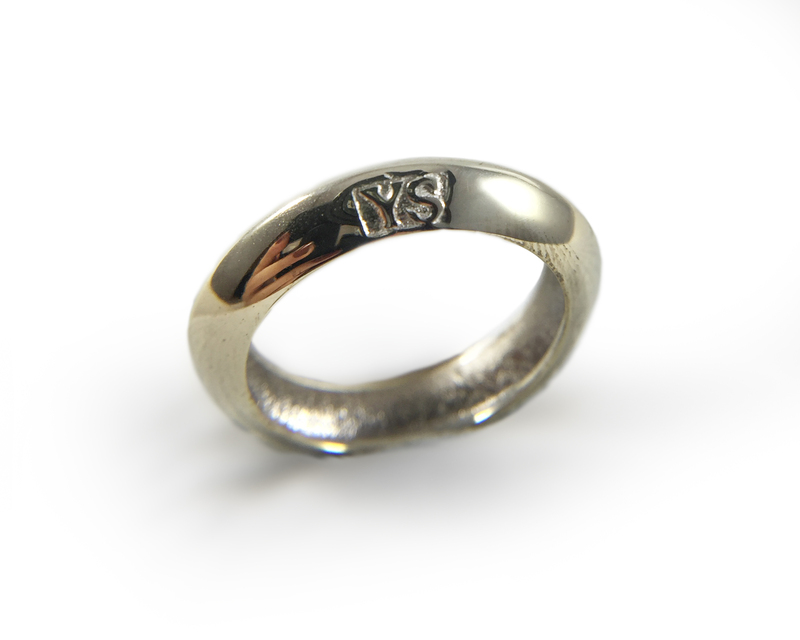 Special Silver, our more popular sterling silver, with 92.5% silver content and a tarnish resistant alloy. 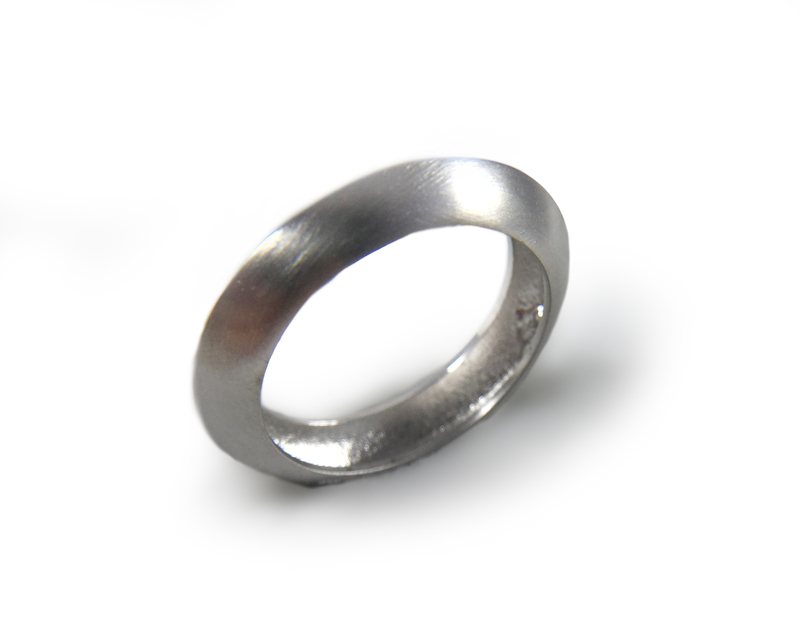 Regular Silver, with 92.5% silver content with a classic copper and zinc formulation. 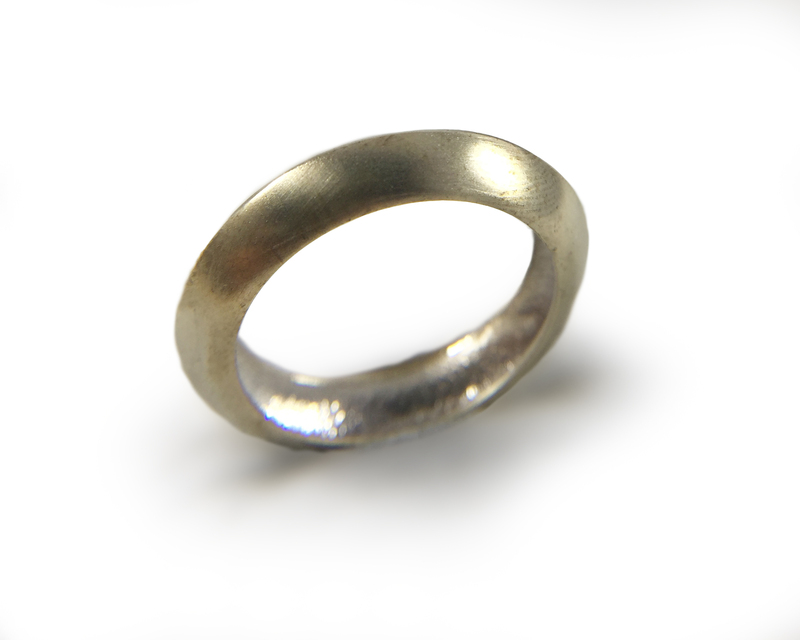 This is the more economical sterling, and ideal for adding patinas. 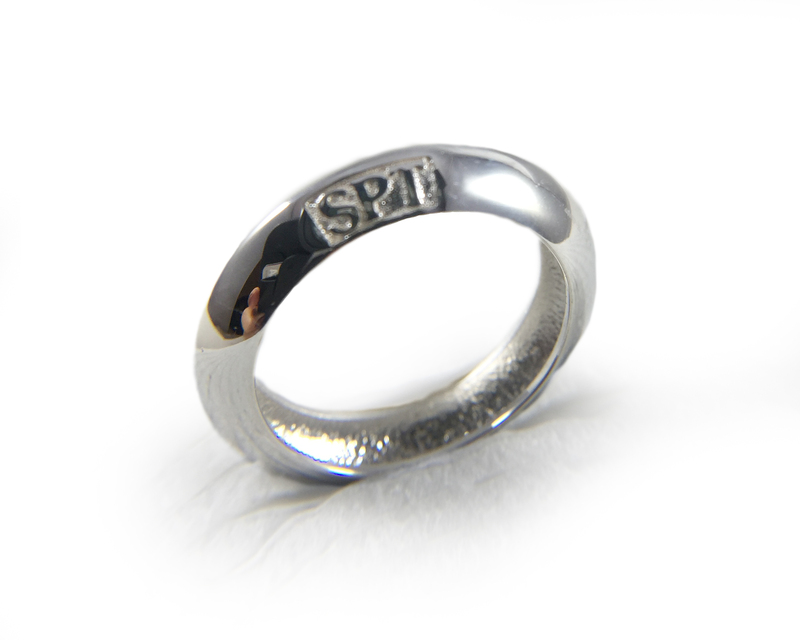 Silver Platinum, a sturdy silver with brilliant shine. 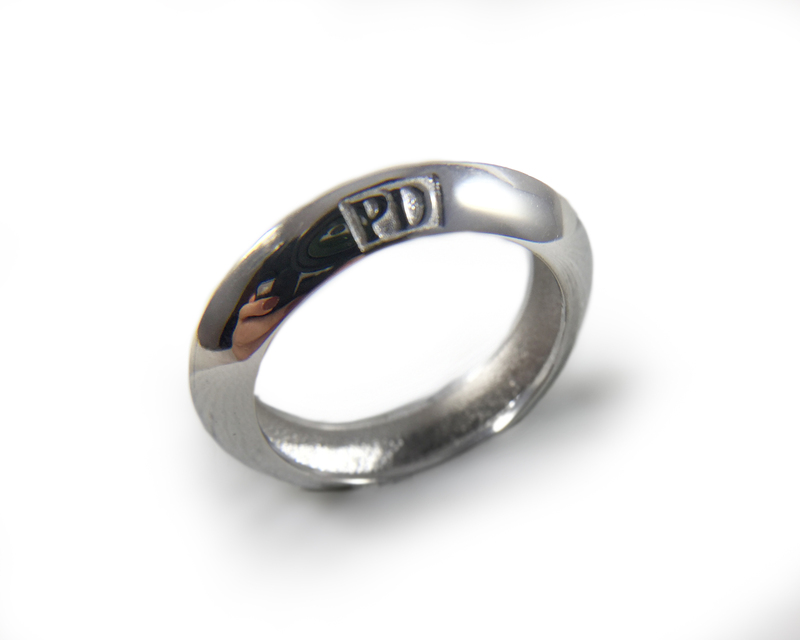 The dash of platinum makes it tarnish resistant. 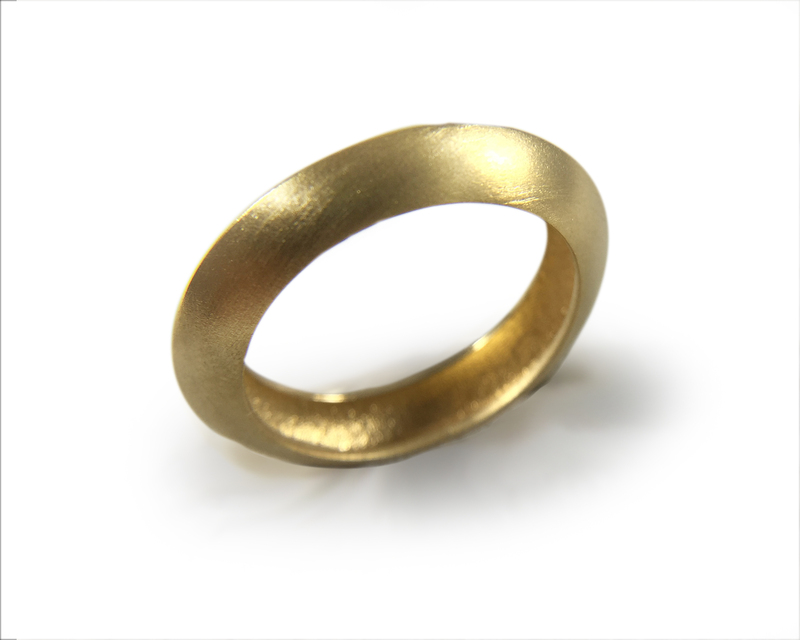 22K yellow, a deep, rich metal containing 91.67% gold that evokes the look of ancient Etruscan jewelry. 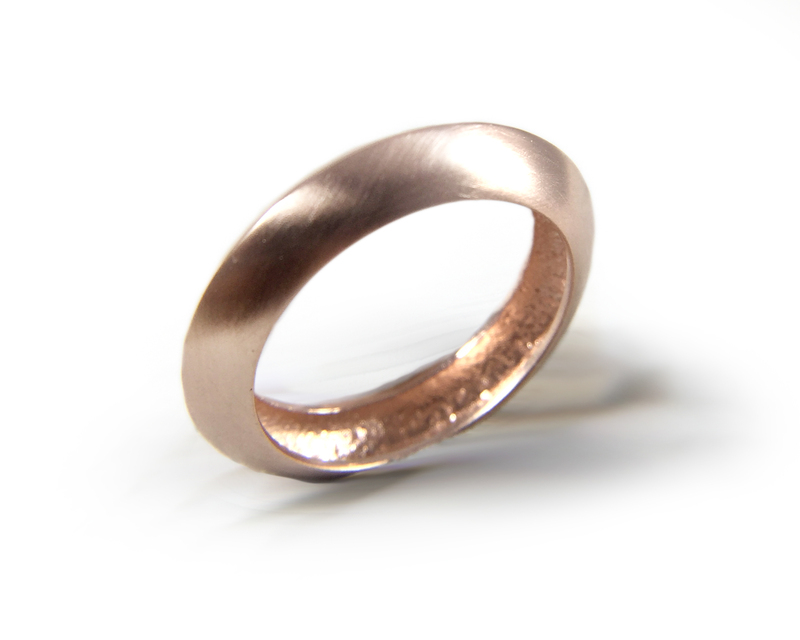 20 Pink, a warm rose gold containing 83.33% gold, the rest copper, zinc, and silver. 18 Yellow French, our lighter version of 18K yellow gold. 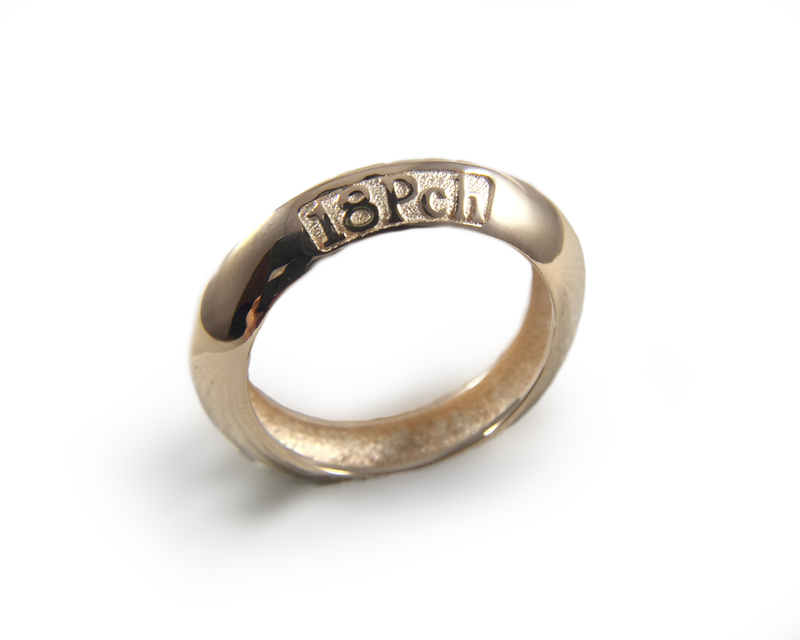 So named because of the popularity of this color in Europe. 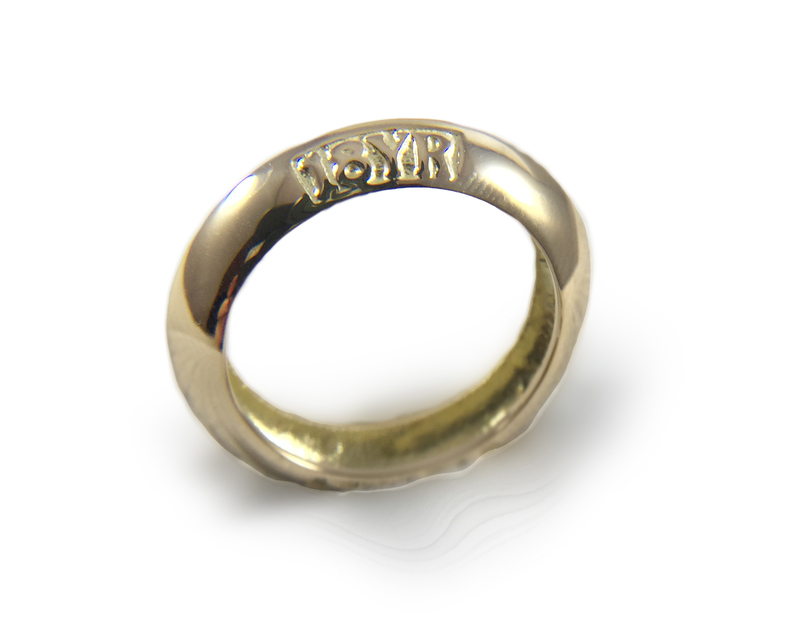 18 Yellow Royal, our deeper, slightly warmer version of 18K yellow gold. 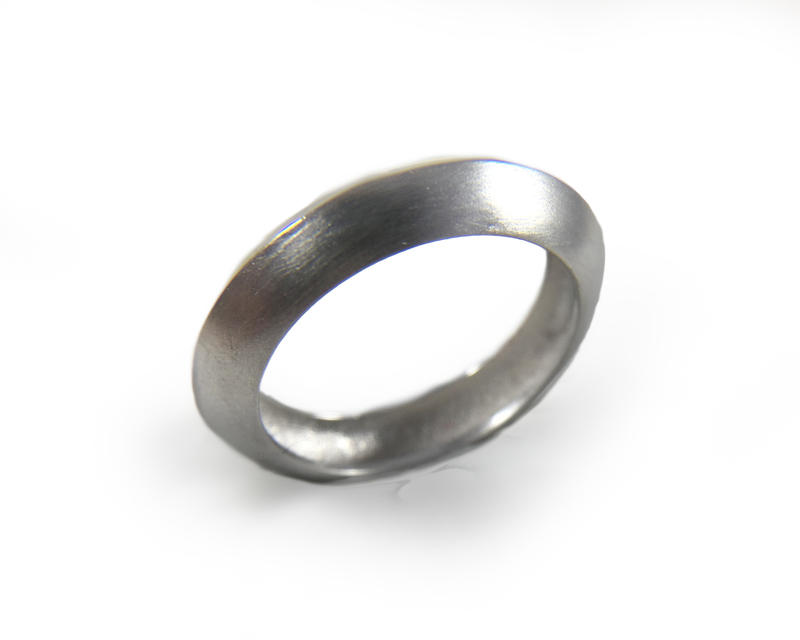 The color difference is achieved with a modification of alloy. 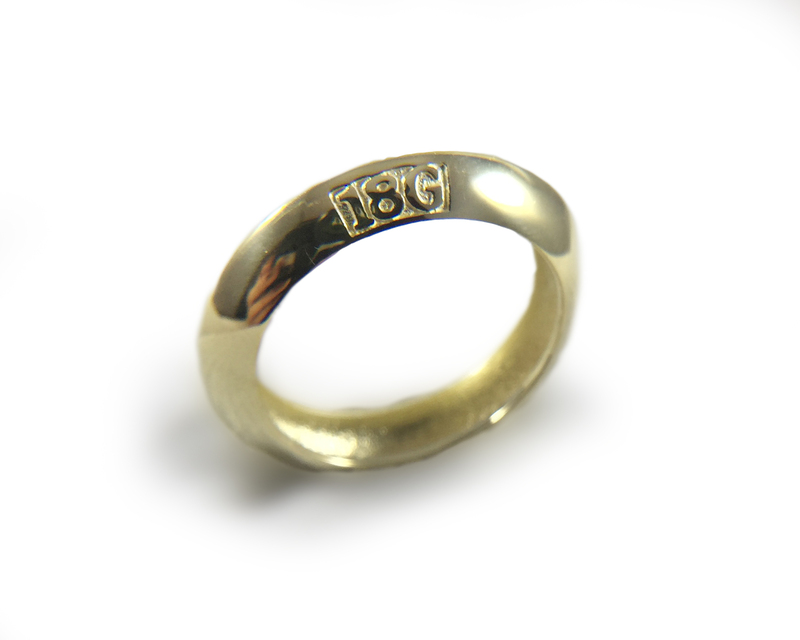 18 Green, an 18K yellow gold with a slight olive tone. 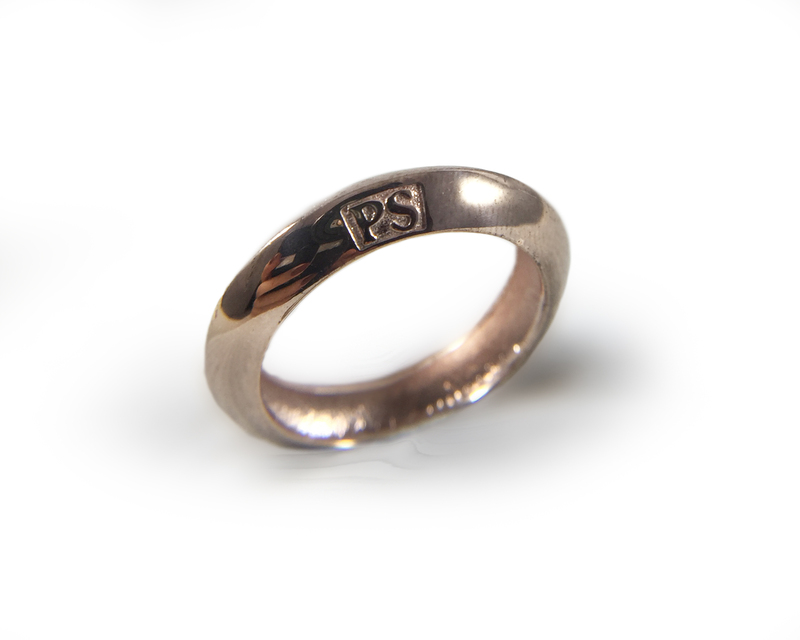 18 Pink, warm rose gold. Simultaneously luxe and fashion-forward. 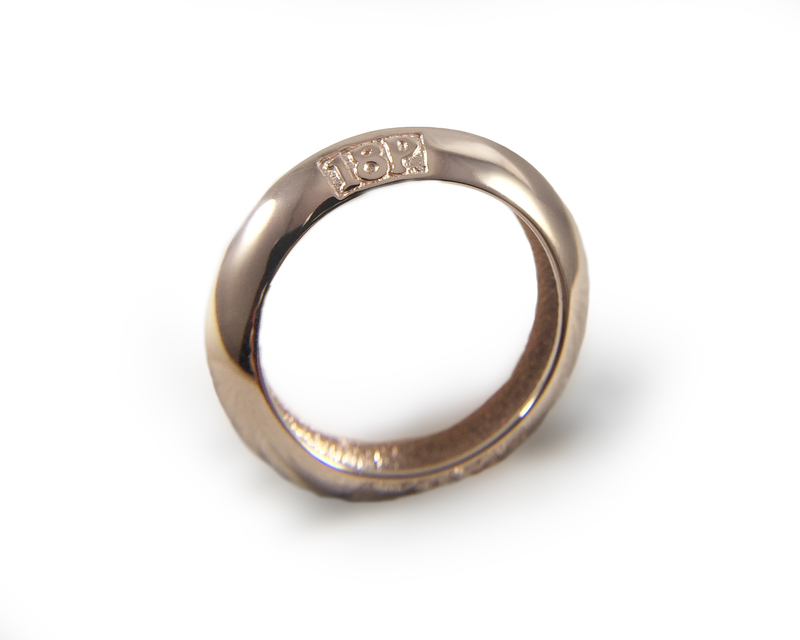 18 Peach, an 18K gold imbued with tone somewhere between yellow and pink. For those who find pink gold too saccharine, but love the warm colors. 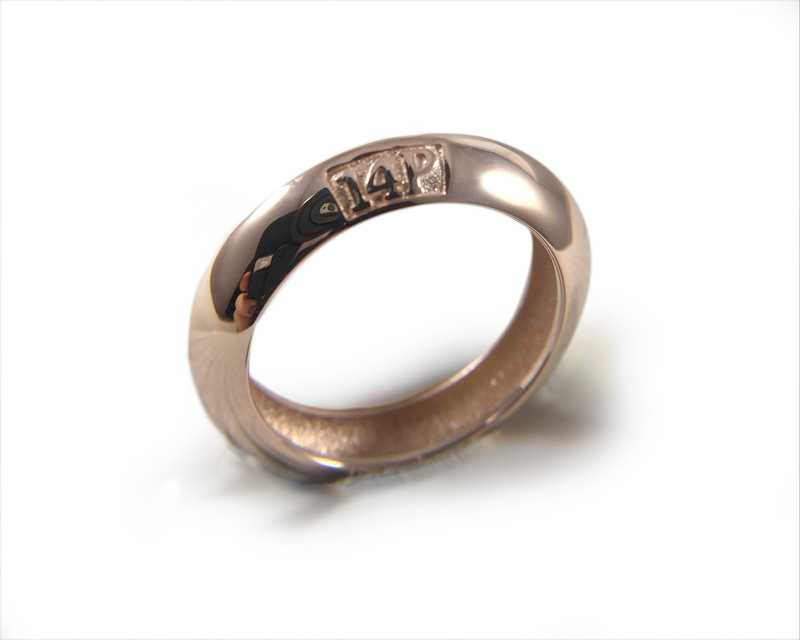 18 Cocoa, neutral color with a hint of brown. 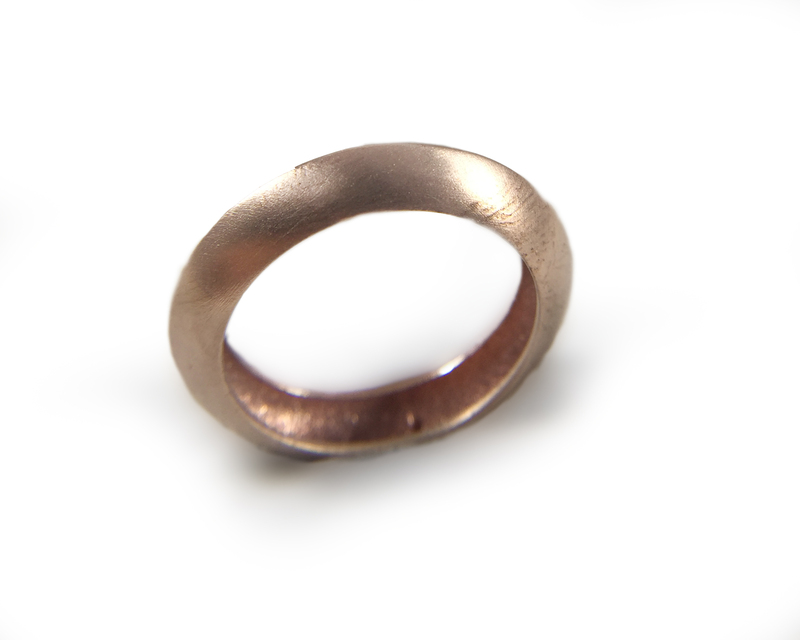 This color is a chameleon in the light. 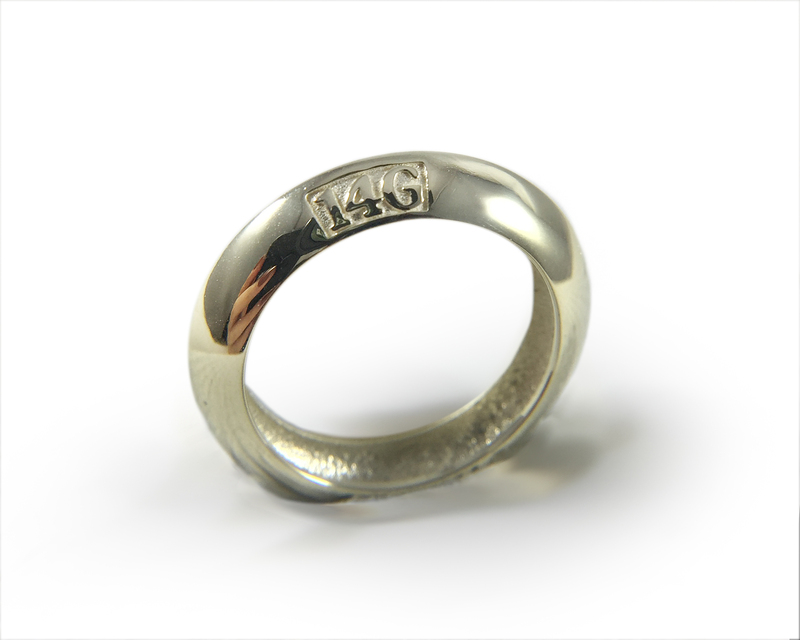 18 White, a classic white gold with a warm tone. 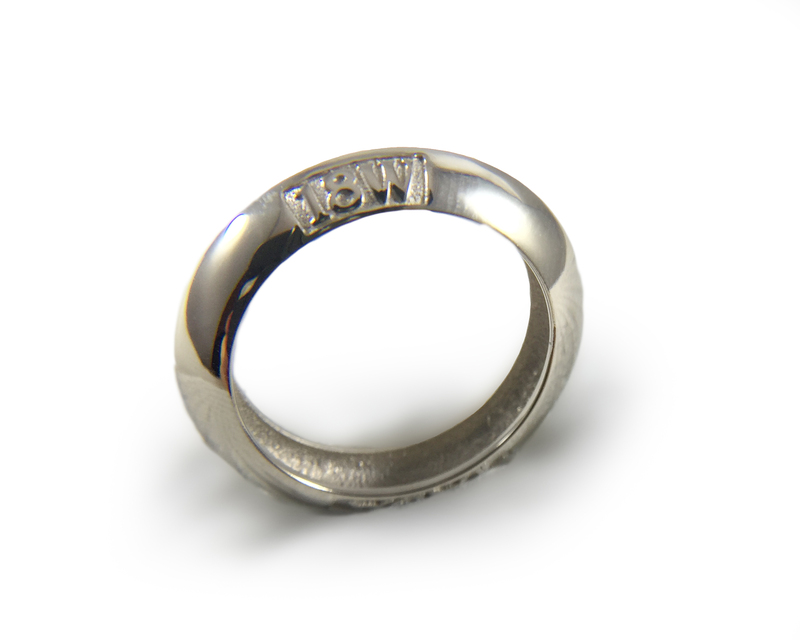 18 White Palladium, an 18 white gold, but with a steel-grey look to it. 14 Yellow	a mid-tone yellow gold. 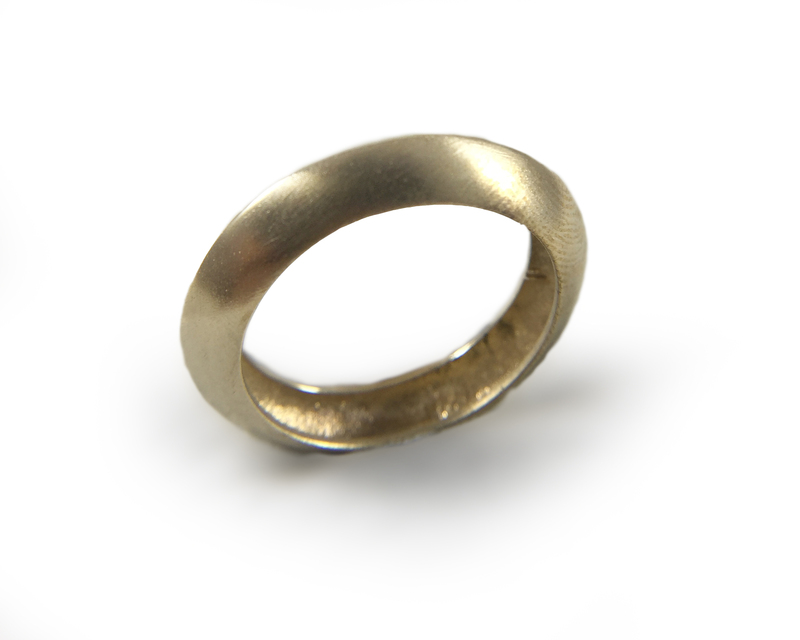 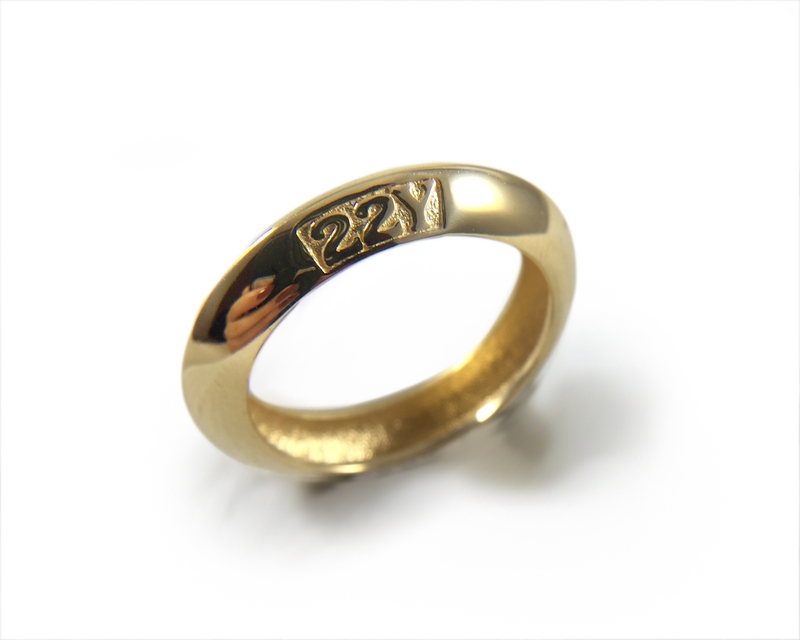 Our most popular yellow gold, for its price point and classic look. 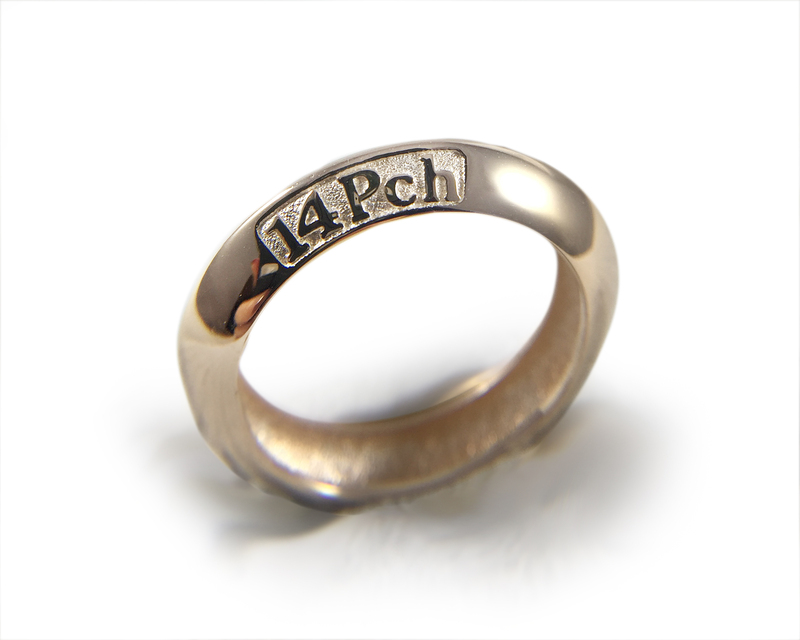 14 Peach, a warm color between yellow and pink. 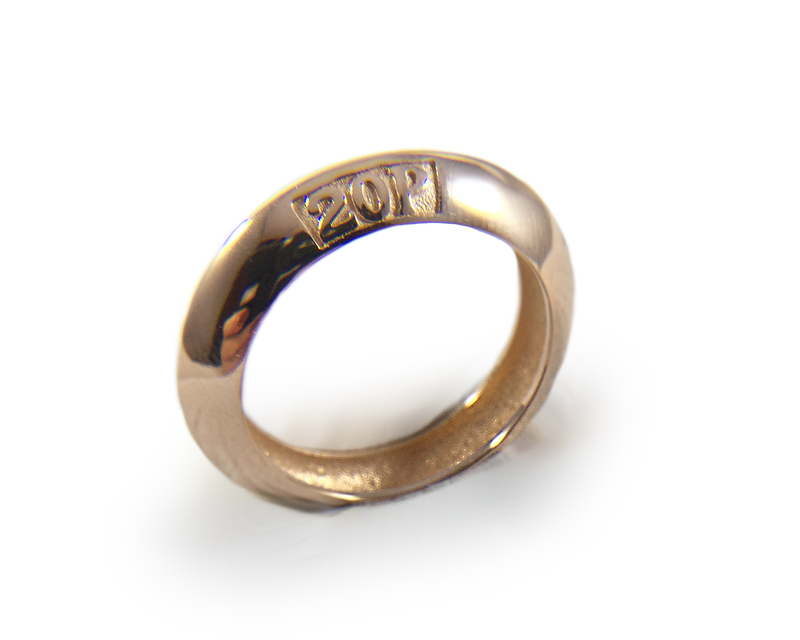 Like 18Pch but not as rich overall. 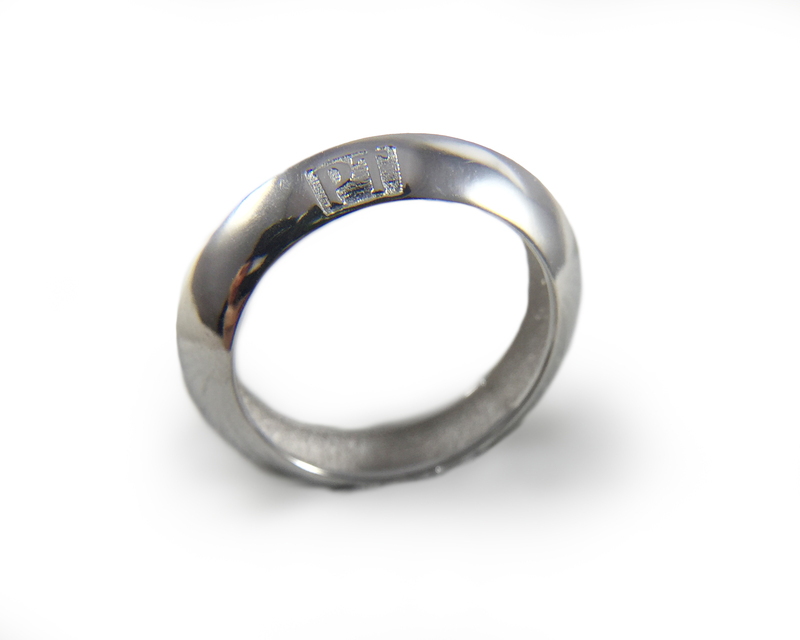 10 White, a milky white gold. 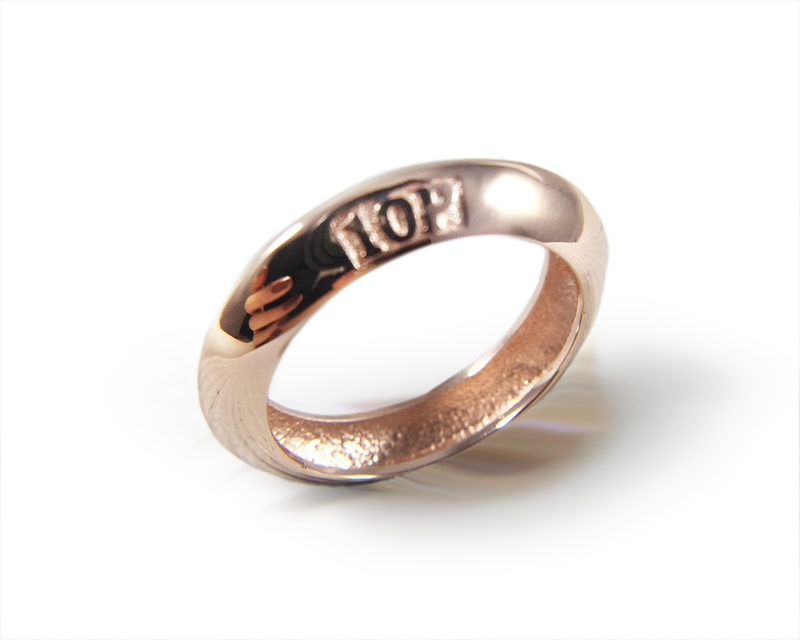 10 Pink, the pinkest pink gold of them all. 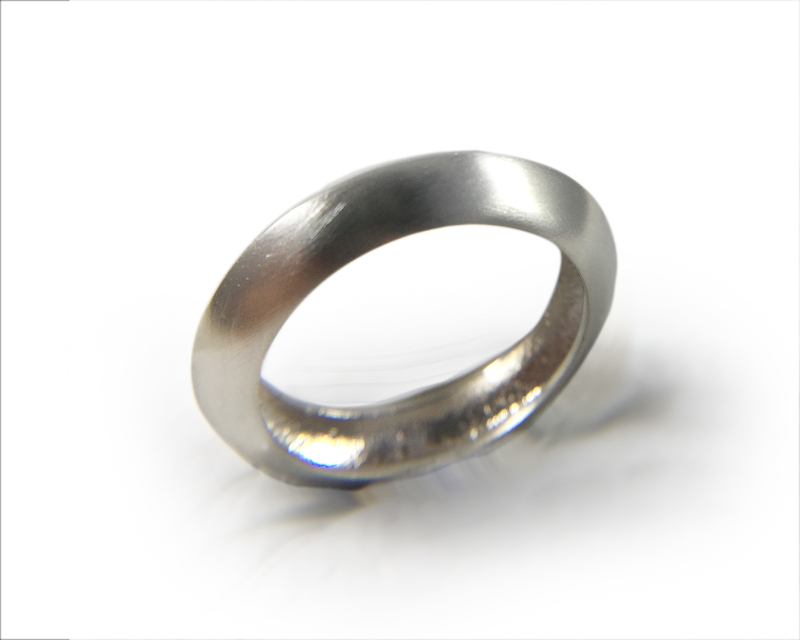 Platinum, a ruthenium mix that produces a very white metal that doesn't tarnish. 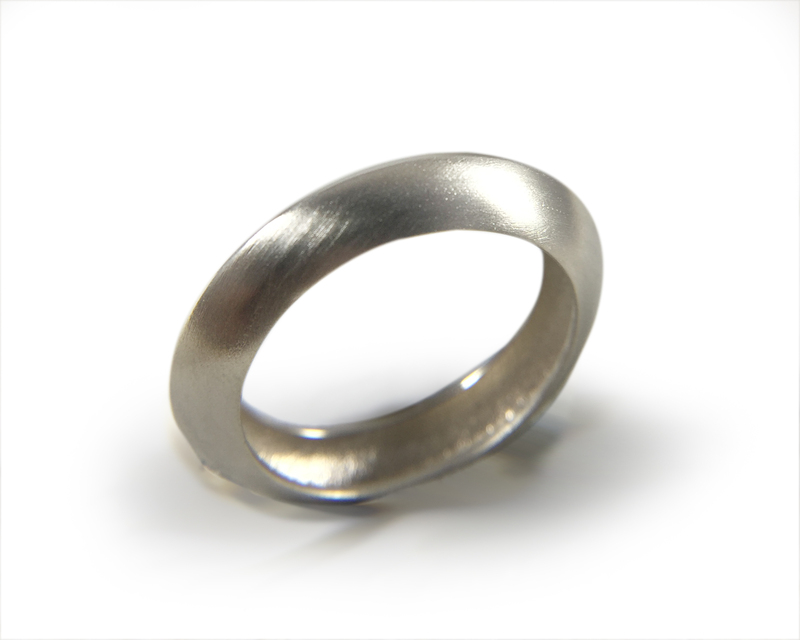 Palladium, a ruthenium mix that produces a very white metal that doesn't tarnish. 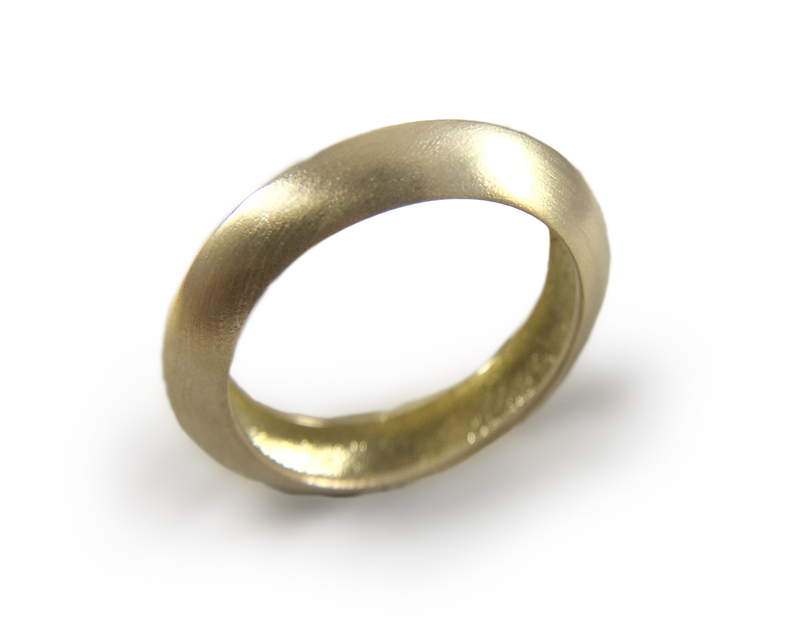 Yellow Brass, a jewelry-specific alloy that looks just like 18K yellow gold once polished. 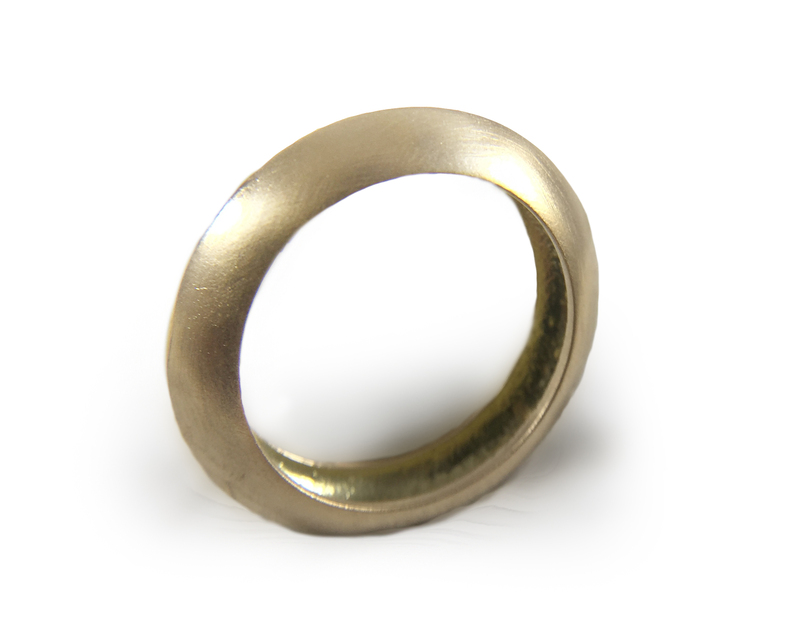 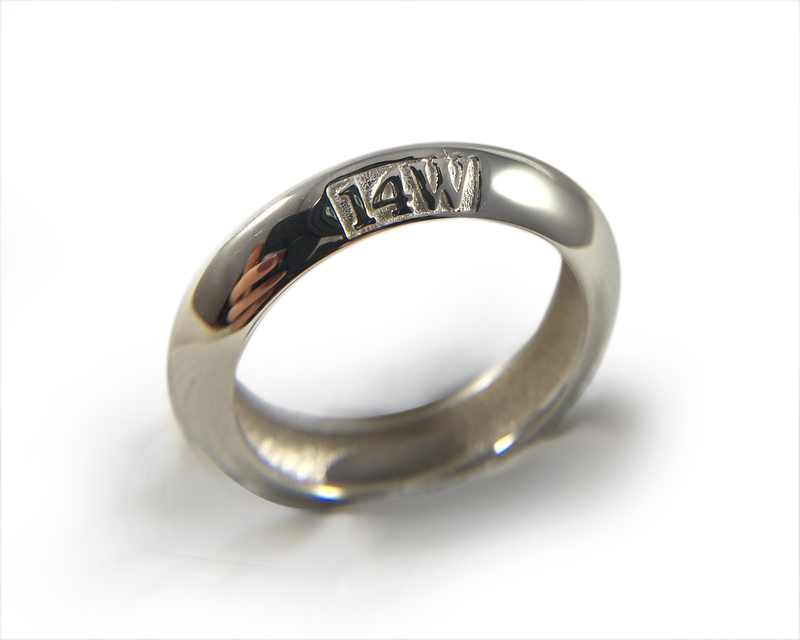 White Brass, a hard, jewelry-specific alloy bearing a strong resemblance to 14WPa in color. Red Brass, which looks just like 18K pink gold when polished. 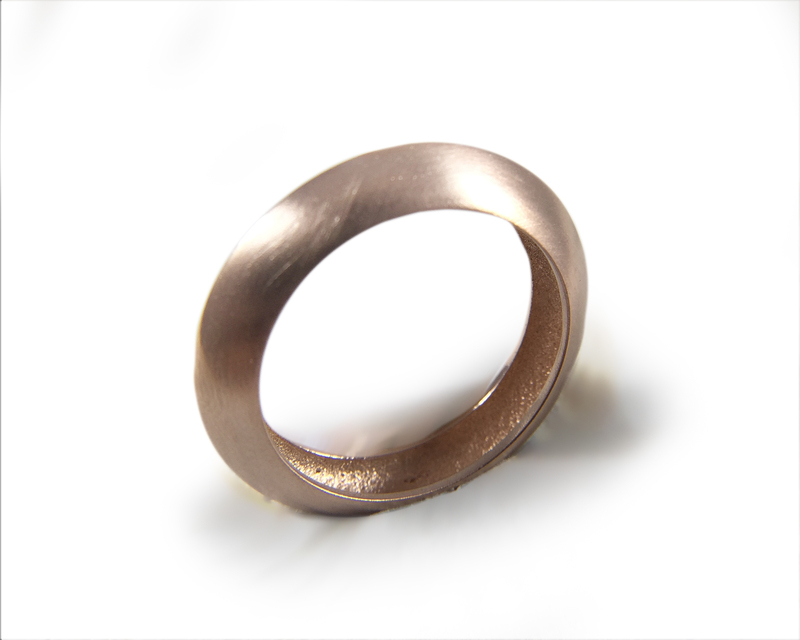 Bronze, a warm brown metal of copper, zinc, and tin.